Aspire Family Mediations Mediators are in Aylesbury. Contact us today to arrange a call back for any enquire about mediation or to book an assessment! As part of a couple who have decided to separate, or to undertake a divorce, there are many new decisions that face you. The most monumental of these is whether you wish to pursue a legal route to resolve your differences. This is certainly a very expensive route and you need to think about the financial consequences of this. Legal procedures can also cause a great deal of stress and anxiety. You should really take a good look at mediation before you make a firm decision regarding litigation. The two are not easily separated. Before you even think about a legal route, you need to show that you have considered mediation in the majority of cases. The mediator is a professional in their own right who has been trained in negotiation and decision making. Mediators are competent to deal with all of the different situations that may arise with divorce or separation. This includes issues concerning children, grandparents and property. Mediation is a three step process. The first step is to meet with both parties to work out if mediation is the best solution for each party. The second step is to undertake a series of mediation meetings to find out, and find a solution to, the issues of dispute between the partners. This may involve issues of property, finance or access to children. The third step is to decide upon a solution which both parties agree on. Sometimes couples become obsessed with legal action and do not consider mediation. However, it may surprise you to know that mediation is often looked upon by courts as a necessary part of the process prior to taking legal proceedings. MIAMS (Mediation Information and Assessment Meetings) are a vital part of this process. If mediation is not undertaken you must complete form FM1 when making an application to court. We can advise, and help you, with both MIAMS and FM1 procedures. Efficient. Mediation is a relatively quick, and cheap, method of achieving an agreeable solution. Non-litigious. Mediation does not involve the costs and complexity of legal procedures. Sensible. Mediation is the obvious solution in terms of costs, and in making a reasonable negotiation between the parties. Sensitive. Mediation is sensitive to the needs of each party in terms of their finances and relationships. Mediation is also suitable for a variety of different circumstances. Children can be involved as part of mediation and benefit from engagement with this process. It is also possible to use mediation to address the concerns of grandparents. Mediation is also suitable for negotiations involving property and finance. Whatever your circumstances, mediation is the sensible solution. I want to say Thanks to Aspire Family Mediation for helping with my issue. My wife and I wanted to get separated and live our lives. 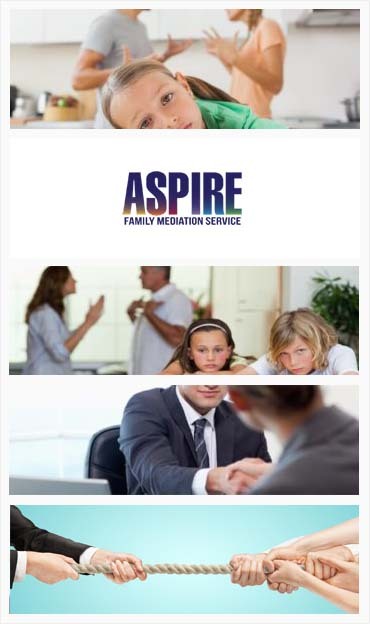 Aspire Family Mediation made the process really easy and simple for all of us. The quality of service that I got during my divorce case from Just Divorce mediation was remarkable. The mediators helped me reach a self-agreement without need of any court. I’m really thankful to Aspire Family Mediation for helping me at the time where no one was around me. You are doing a great job guys.